Fill each day with new and exciting adventures at Camp then head home each evening. Crafts, nature, swimming and playground time are some of the highlights of this fun experience. We’ll have worship, learn about the Bible and make new friends each day as you get to know Camp Harmony. Day camp is set up as a lead in to our longer camps to get campers used to the daily fun and activities of a longer stay. Each week will have activities, games and Bible lessons based on the theme. Bring a friend and explore the outdoors! Day camp begins at 8:30 am and runs until 4:30 pm each day. This option to sleep over is offered as another step towards becoming a week-long camper. It is offered on the following Wednesday nights: July 10, July 24 and Aug. 7. Please make sure you are registered for a minimum of Wednesday and Thursday if you choose not to register for the week-long option. Our youngest campers can enjoy the fun of Camp in a half-day suited just for them. Enjoy crafts, Bible lessons, nature, games and swimming in small parts preparing them for Day Camp. Pre-K camp begins at 9 am and runs until 12 pm for ages 3-5. 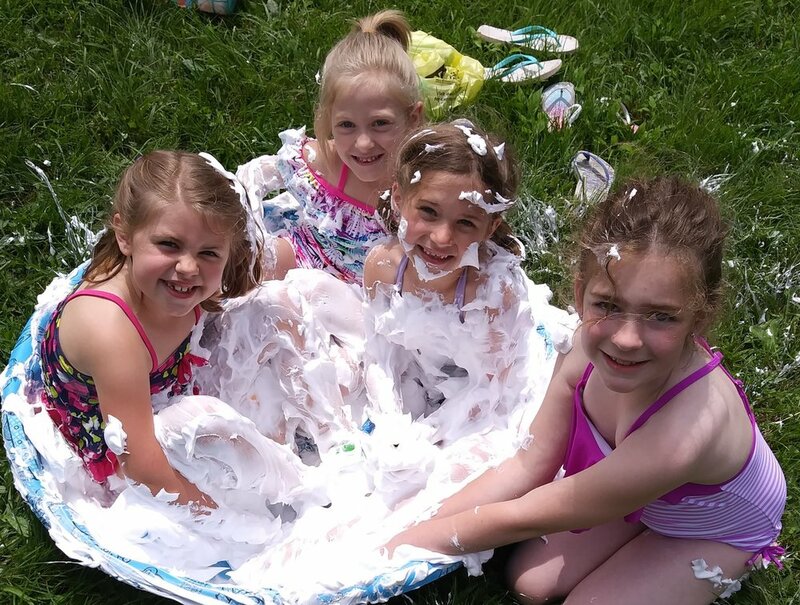 Challenge camps combine fun and faith with all kinds of challenges. Each morning every camper will be challenged to be their best with get up and go games, sit and think puzzles, Bible quizzes and any challenge you can think of. 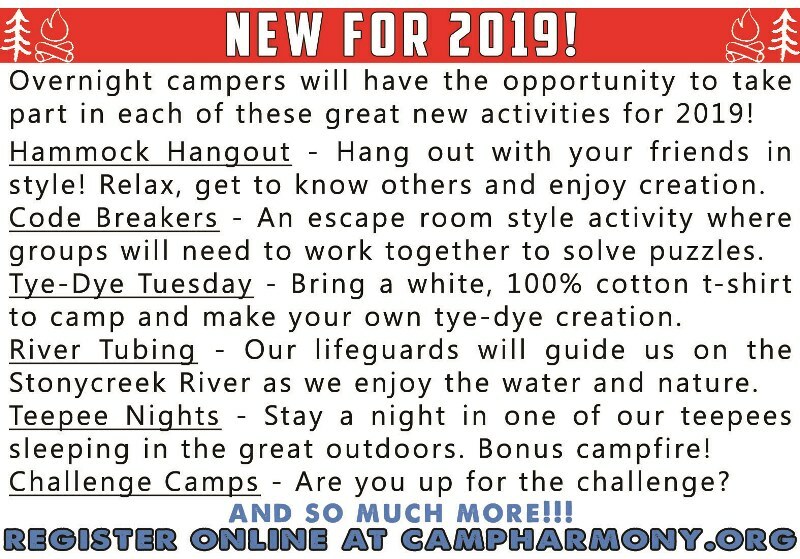 Of course there’s campfires, songs, friends and much more! There are challenges all around…are you ready?! At Trailblazer Camps, campers spend two hours each day learning about and caring for horses, taking trail rides and making memories. 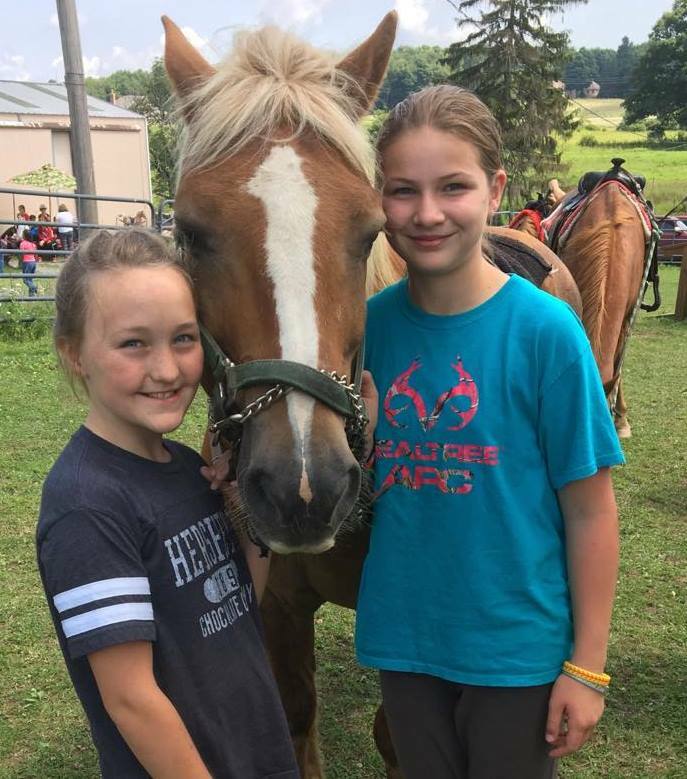 We have partnered with Best of Friends in Johnstown to provide two great weeks of fun, safe horse programs. Campers will pack a lunch, eat with the horses and then return back to Camp where they will join with other campers for more Camp fun and games! Sign up early because space is limited for these two very popular weeks. Bike & Raft Adventure (grades 7 - Adult) July 7-12 - We will travel 150 miles on the Great Allegheny Passage from Pittsburgh to Cumberland, MD. Along the way we will stop in Ohiopyle to enjoy natural waterslides, Cucumber Falls and raft on the Youghiogheny River. Bikers will average 30 miles a day and tent in campgrounds. The trail follows old railway beds that are well maintained and easy to ride on. You need to provide your own mountain or crossover bike (no BMX or fat tire bikes) and helmet for the trip. 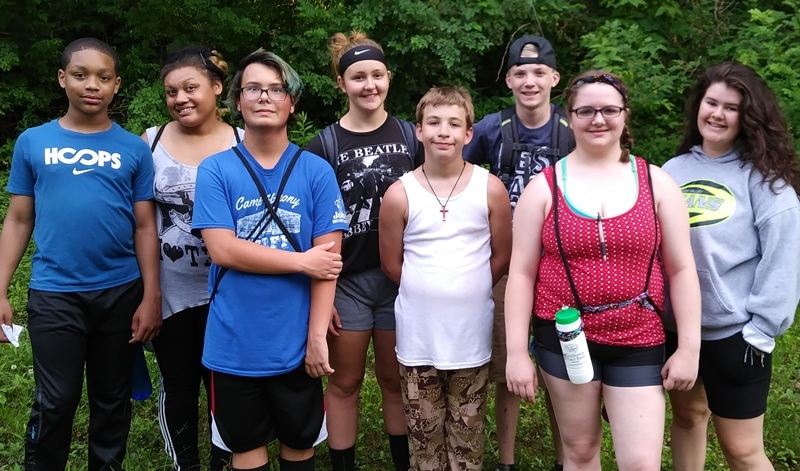 This camp is a joint adventure with Camp Blue Diamond, a Church of the Brethren camp in Central PA.
United Adventure (grades 7-12) July 21-26 - Travel together to North Carolina and enjoy beautiful scenery and exciting adventure in rivers, on mountaintops and in fellowship around the campfire. Explore natural wonders on this expedition that joins with other Church of the Brethren camps to have fun and enjoy creation. The special activity for 2019 is a high ropes course at High Gravity Aerial Adventure Park in Boone, NC. Grades 6-12 - July 6-13 - Join us for "Annie" the musical! This is the perfect opportunity to keep your creative talents fresh over the summer. Not only are we seeking actors but musicians (vocal and instrumental), set artists and sound technicians as well. There is plenty to experience for any level of talent. The hard work will pay off with two great performances at the end of the week! Wet and wild is the name of the game for this camp. With water activities, water-themed trips and extra pool time campers will get soaked with fun and the Spirit. You’ll discover, explore, invent and create with Lego and Technic models at Camp! In cooperation with Bricks4Kidz, we will learn each morning about problem solving, building, designing and working together. 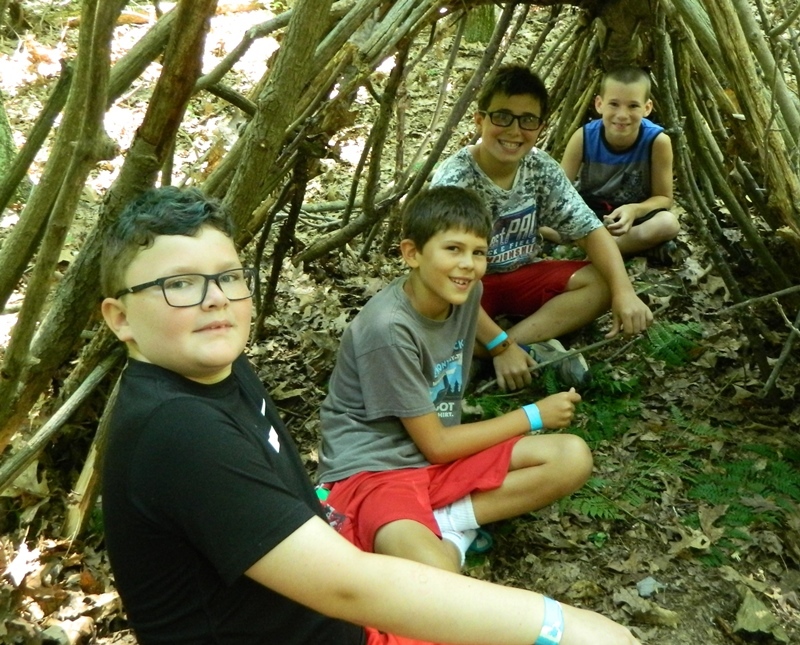 Grades 3-6, July 14-19 - Wilderness camp is designed to teach campers about living outdoors in God’s beautiful creation. We’ll spend our days developing skills such as campfire and shelter building while learning how to survive in the wilderness. Campers will learn about outdoor cooking, fishing and hiking. We’ll spend our nights enjoying nature as we sleep in teepees and watch the stars as we sit around a campfire and make new and better friendships. Grades 8-12, June 16-21 - The Leaders in Training Experience is a leadership camp which will challenge you to develop leadership skills that will benefit you throughout your life. You will step into the role of a servant-leader as you seek the characteristics of Biblical leaders; learn through study, discussion & hands-on activities; and begin to lead on your own in the camp setting. Taking part in a portion of counselor training will allow you to learn with our summer staff and join with them to create an engaging camp community and culture. We’ll also do all the fun Camp activities you know and love along with the great learning experiences this camp provides. You may have the opportunity to return and serve as a volunteer with our summer program and put your new skills into practice.This program will generously be funded by churches in the Western PA District. For any type of family, August 2-4 - Bring the whole family and spend a great weekend together in nature. Swim, play, craft and worship with other families as we offer activities for all ages and learn more about the Bible together. It is a great getaway for every kind of family. NOAC is a spirit-filled gathering of adults who love learning and discerning together, exploring God’s call for their lives and living out that call by sharing their energy, insight and legacy with their families, communities and the world. This Church of the Brethren conference takes place at Lake Junaluska in North Carolina. 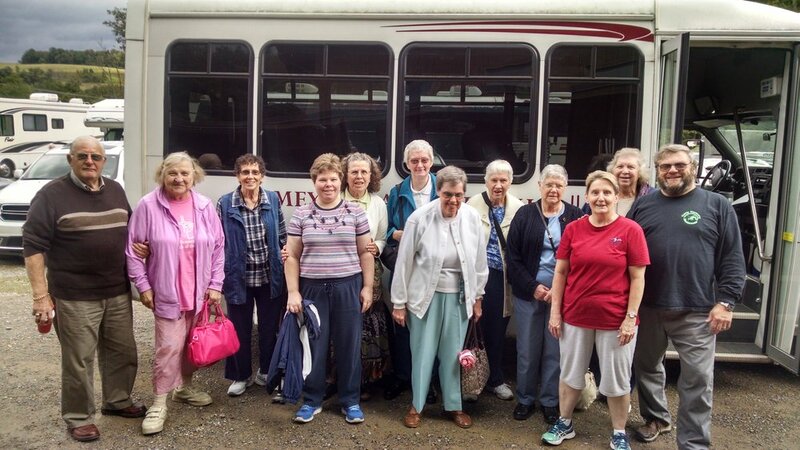 Camp Harmony will provided travel to and from the event. You must register for the conference through the Church of the Brethren at brethren.org/noac.